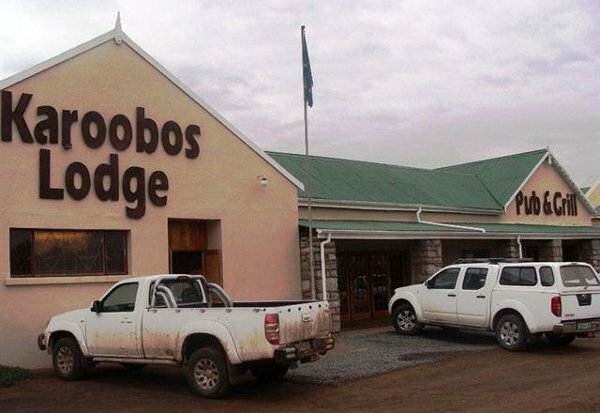 Karoobos Lodge Guesthouse Farmstall is situated in the middle of town, halfway between Bloemfontein and Port Elisabeth. We have a licensed pub and we serve excellent Karoo meals on request. The guest house is self-catering and our rooms offer en-suite bathrooms with either baths or showers. We have DStv and all rooms are equipped with tea and coffee trays, toiletries and towels. There is safe parking and guests have use of the swimming pool. The farm stall is the main attraction and it is famous for our lamb, chicken and venison home-made pies. We are the best place to stop, drink coffee and have a Karoo meal. Sleep over and enjoy our Karoo warmth and hospitality. Click here to enquire at Karoobos Lodge Guesthouse Farmstall.